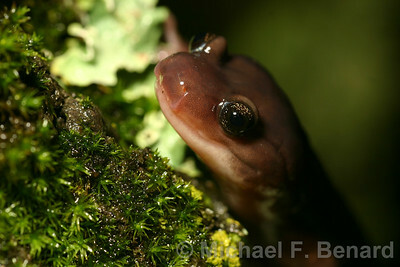 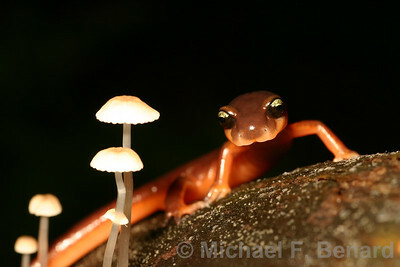 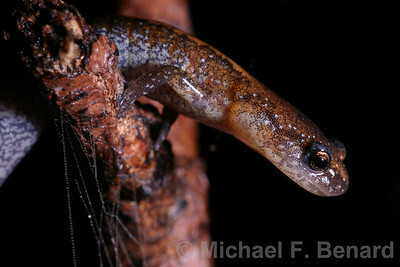 This Redback Salamander was seen climbing around on a rainy night. 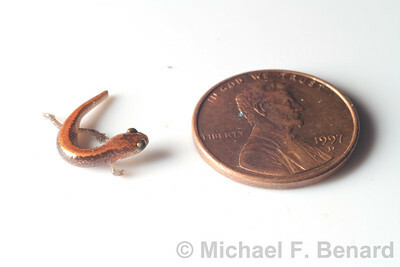 A recently hatched Redback Salamander shown next to a penny for scale. 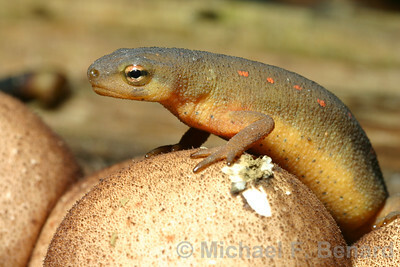 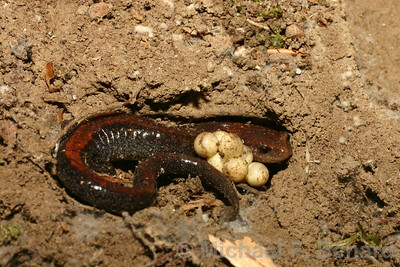 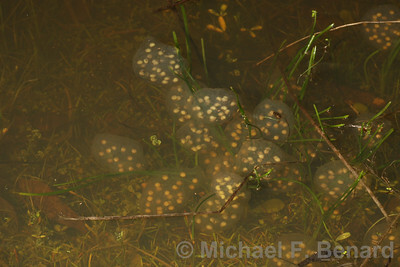 A female Redback Salamander is seen here protecting her eggs. 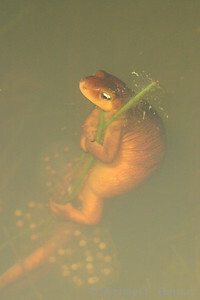 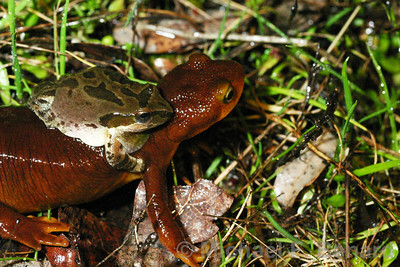 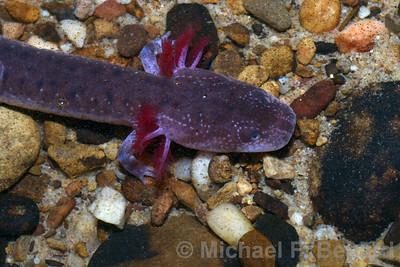 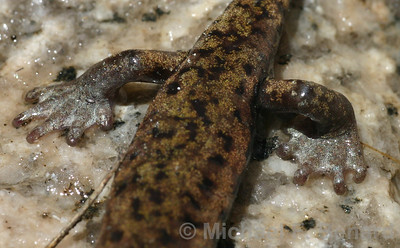 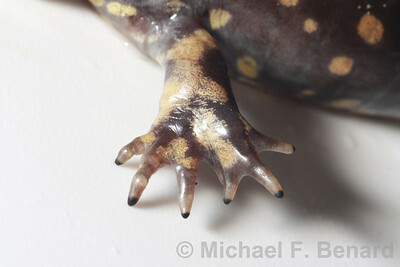 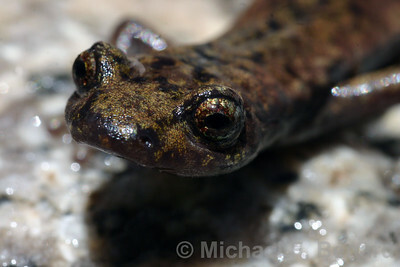 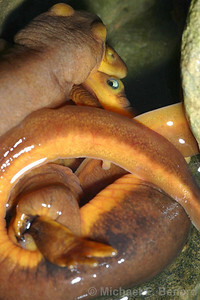 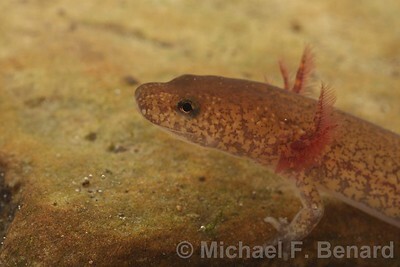 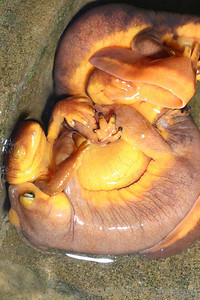 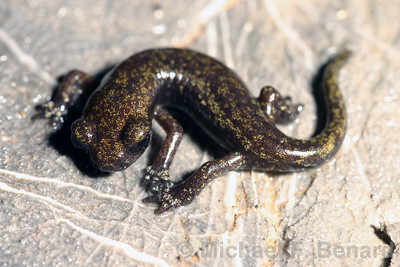 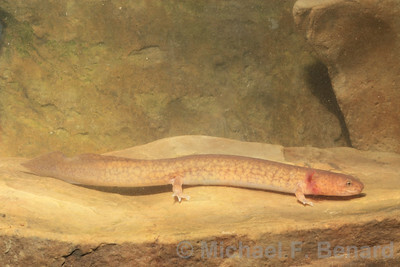 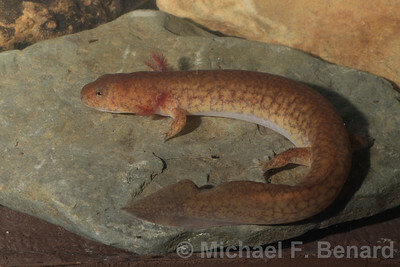 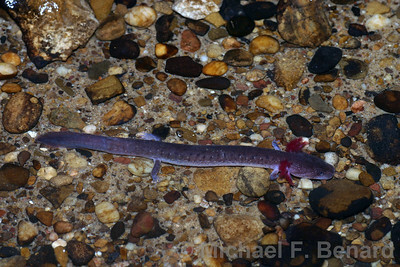 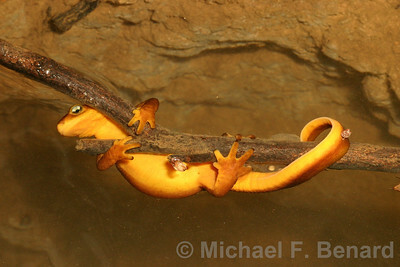 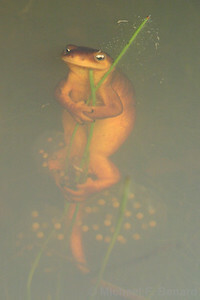 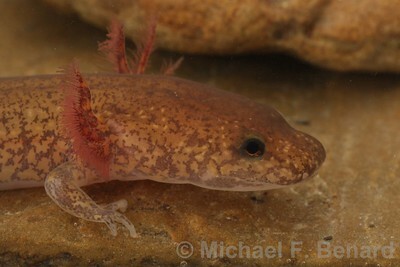 The aquatic larva of the Spring Salamander takes up oxygen through its external gills.